Audience below 18 yrs old shall not be admitted. A full Audio-Visual spectacle feat. Gorillaz hits and their award-winning animation and visuals. 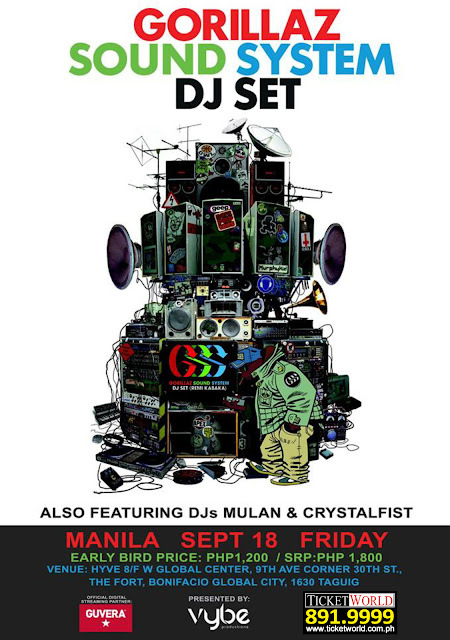 Gorillaz Sound System brings their audio-visual DJ Set to Manila for the first time! Featuring hits such as "Clint Eartwood", "Feel Good Inc", "Dare" and other tracks!